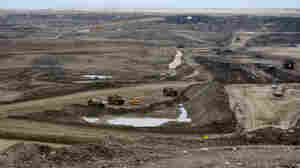 December 14, 2015  Canada's potentially lucrative oil sands business faces serious economic challenges. It has some concerned about its future as environmental critics look for ways to keep the oil in the ground. October 29, 2015  In addition to lower oil prices, Royal Dutch Shell says it incurred billions in costs when it shut down large-scale projects in Alaska and Canada. 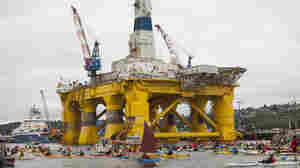 September 28, 2015  Shell announced the move late Sunday, describing what the company called "a clearly disappointing exploration outcome" in the Chukchi Sea, which is part of the Arctic Ocean. May 11, 2015  The company wants to resume drilling in the Chukchi Sea off northwestern Alaska; it broke off that effort in 2012 because of safety problems. January 2, 2013  Salvage crews are waiting for better weather to closely inspect the grounded Kullak oil drilling rig, stuck onshore near Kodiak Island, Alaska.